The New Standard in Environmentally Conscious Advertising. 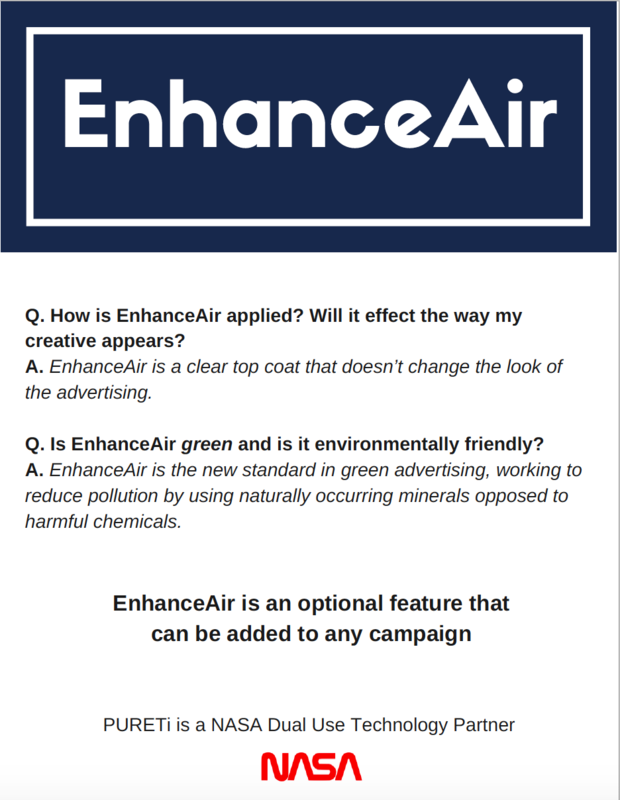 EnhanceAir, powered by Pureti TM is a specialty coating applied to outdoor advertising materials that purifies the air without impacting appearance. The cost of applying this air-purifying specialty coating is minimal when compared to the added value yielded for businesses utilizing this from traditional out of home to transit and fleet graphics. EnhanceAir, powered by Pureti TM can convert outdoor advertising assets into strategically placed air purifiers. When sunlight hits the EnhanceAir coating, it prompts a series of reactions taking humidity and oxygen from the air turning them into cleaning agents that scrub the air of pollutants such as VOCs and nitrous oxides, known to us as smog. 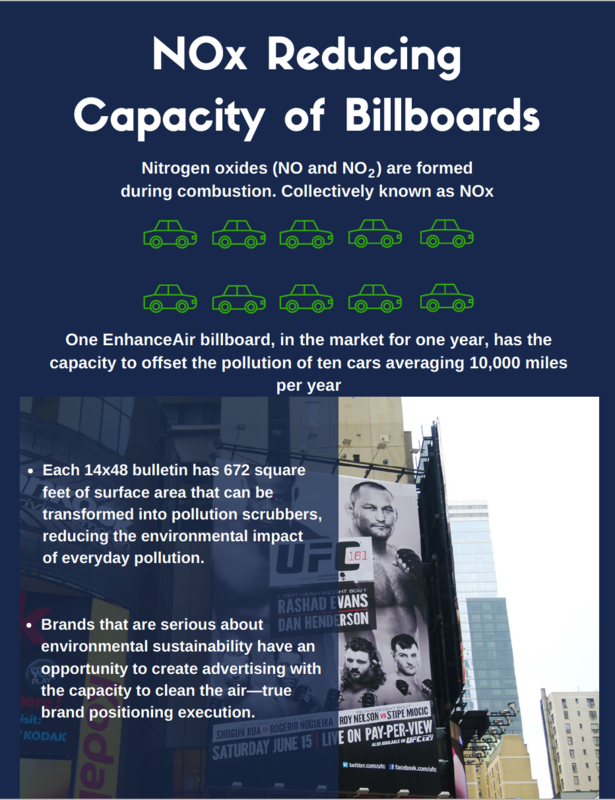 An EnhanceAir coated billboard in the market for one year has the capacity to reverse effects of 10 cars driving 10,000 miles per year. PURETi’s safety profile has been tested and verified by multiple independent sources (NSF, NIOSH, Bureau Veritas). No other product of its kind has these credentials. Visit the EnhanceAir website for more information.